I was told by somebody with a good memory that the original Pioneer Village in Salt Lake City had a round building in it that was a small theater re-creation with actual seats and curtains from the Salt Lake theater built by Brigham Young. Apparently since the building also resembled a carousel, a collection of carousel animals were placed in a circle around the upper balconies. This person remembered this building very well (and described it as dark and creepy) and was disappointed that it did not make the move to Lagoon with the rest of Pioneer Village. When this person walked into the new Carousel Candy shop they were surprised to find the horses/animals from the building were all on display. If this is correct, it would suggest that the horses came from Utah like most everything in the Pioneer Village collection. So the question is, where was this carousel? Some possibilities are the Salt Palace, Wandamere, or whatever that park was on 9th South. Anybody up for doing a little digging into this? When I made my 3D model of PV I did lots of research on the village. One item I discovered is that the village used to have this round building. I did find a old park map that had it one there but can't seem to find it right now I'll keep looking. But this video shows it on location at Lagoon. From what I understand it was a Indian show/display when used at Lagoon. (09-04-2018, 08:23 AM)UtahCoasterEnth Wrote: When I made my 3D model of PV I did lots of research on the village. One item I discovered is that the village used to have this round building. I did find a old park map that had it one there but can't seem to find it right now I'll keep looking. But this video shows it on location at Lagoon. From what I understand it was a Indian show/display when used at Lagoon. Thanks for that! It makes a lot of sense to me as I kinda remembered something like that as a kid. The building is a little different than the one drawn, especially the roof, perhaps it was changed. I do know the theater thing at the old Pioneer Village was real and that the Sons Of Utah Pioneers actually kept the theater pieces and they're now kept at their museum. Maybe it was actually in a different building though. The Lagoon map labels it as the "Ute Indian Museum" and the SLC map labels it as the "Roundhouse, Replica Utah's First State House, Salt Lake Theatre Exhibit, etc." But it's the carousel figures in question here, right? I asked an employee at Carousel Candy just to see if they knew or had heard anything about them. They just said they were from Europe. That doesn't mean it didn't operate in Utah. The national carousel census doesn't list any carousels in Utah except for ones currently operating at Lagoon, Liberty Park and Hogle Zoo. Either they don't have info on it or the figures came from elsewhere. There are a lot of possibilities because if a carousel isn't preserved as a whole, the figures are often sold off separately. Could the figures be from different carousels? I'm also wondering if these were the ones displayed in Grandma Cristie's in PV when it was a toy store. That would make sense. But I think Lagoon has more figures in storage as well. From what I understand the upper balconies weren't entirely real, just some woodwork up high that mimicked the look of balconies, but they were apparently big enough to fit the animals. There were carousels at Saltair, the Salt Palace, Wandamere, Saratoga, and the original from Liberty Park is now in some park elsewhere in Utah I think. If you count newer ones there's the 49th Street Galleria, South Towne Mall, Park City Resort, St. George, etc. there has been and still are quite a few that didn't make the census I guess. Anyway, this person is adamant that the building in the old PV had these same unique animals as far back as the 1950's. The non-horses like the dog and goat are pretty unique animals. Isn't Europe just the stock answer for where everything in Lagoon comes from? (09-04-2018, 10:15 PM)jetstar2 Wrote: Isn't Europe just the stock answer for where everything in Lagoon comes from? Haha. Yeah, this was not the Dippin' Dots guy, after all. I don't think the SLC/Lagoon round buildings are the same at all. Edit: I found another picture that I think makes it pretty clear what the SLC round building was originally built for. According to the info on the pic this was still there as a restaurant in the 1970's so it wouldn't be the very same one, but it sure is similar. So it appears the SLC Pioneer Village roundhouse was originally a Carousel building, since it almost exactly matches the design of a Carousel building in Ogden. That would explain why it had Carousel animals in it in addition to the theater stuff. I don't think Pioneer Village had that building brought in from Europe, it must have come from nearby. More edit: Here's something I've never heard about before. While trying to figure the carousel thing out I found a property map showing Wandamere's roller coaster (as well as their carousel). I think that might be part of the roller coaster in the second pic? That one isn't on RCDB. Not finding pics of the carousel though. First of all, lets take into account 1) The horses and animals in Carousel Candy appear to be Herschell-Spillman (now where have I heard that name before?) 2) Most of the valuable original characters from Lagoon's Herschell-Spillman (There's that name again) Carousel were replaced by hand carved replicas long ago, and put into storage. 3) The only Large sized Characters were located on the outside row only, with much smaller horses on the inside rows. 4) Some of us have seen many carousel horses/characters in the upstairs of the Carriage Hall. (09-09-2018, 05:25 PM)linearinduction Wrote: First of all, lets take into account 1) The horses and animals in Carousel Candy appear to be Herschell-Spillman (now where have I heard that name before?) 2) Most of the valuable original characters from Lagoon's Herschell-Spillman (There's that name again) Carousel were replaced by hand carved replicas long ago, and put into storage. 3) The only Large sized Characters were located on the outside row only, with much smaller horses on the inside rows. 4) Some of us have seen many carousel horses/characters in the upstairs of the Carriage Hall. 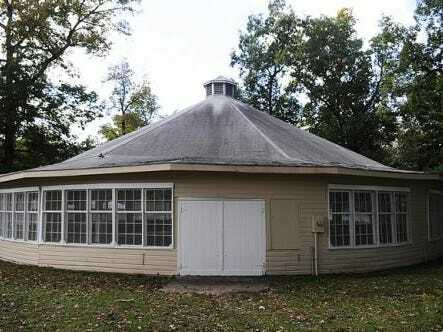 I want to re-iterate that Pioneer Village included a carousel building with carousel horses in it. If there were carousel horses inside Pioneer Village, there's a good chance they're the ones that came with Pioneer Village. (09-09-2018, 06:12 PM)jetstar2 Wrote: I want to re-iterate that Pioneer Village included a carousel building with carousel horses in it. Herschell (Aluminum) horses were small, like the ones at Lagoon's main entrance.